We were initially approached to create a unique, bespoke website for a GP surgery in Stourbridge. The first incarnation of the site was static (individually coded pages) and maintained by ourselves. 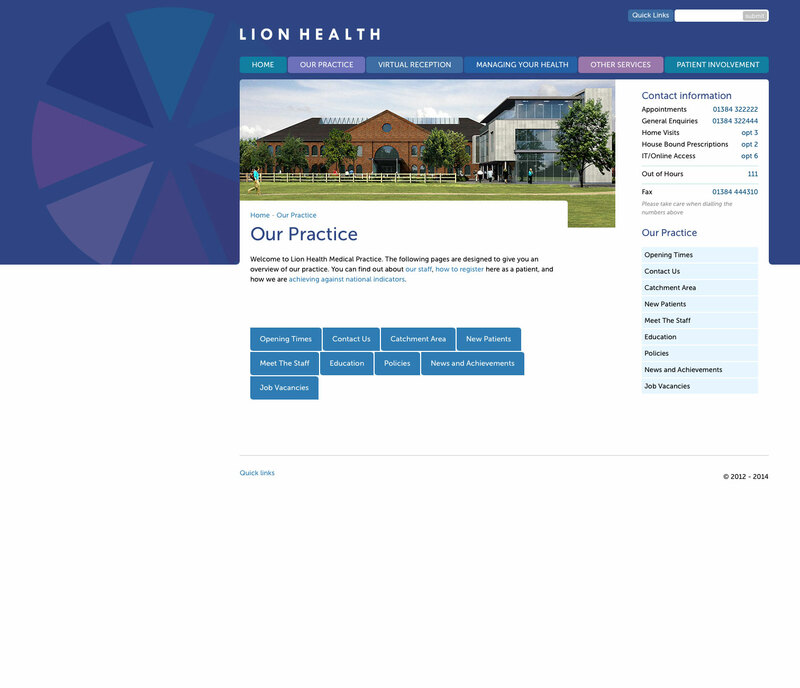 A short while later the GP surgery was re-branded as 'Lion-Health'. As well as amending the look of the site, we took the opportunity to turn it into a content managed website using ExpressionEngine. The site is now 99% maintained by the client, and we only get involved if they need something new. The site excellently illustrates why we use ExpressionEngine - the upgrade from static to CMS was much simpler because EE is such a flexible and appropriate tool for content managing quality websites.